The well-to-do Warner family has been summering on Nantucket for decades – it’s tradition, after all – but this year tragedy strikes over the 4th of July holiday. The story is told from the points of view of several characters, including different family members, the housekeeper, and the caretaker, of the imposing, timeworn beach house. Right away you can feel the undercurrents of dysfunction in this family. It keeps you wondering what tragedy is lying in wait for these troubled people, and who among them could be responsible? They may not be the most likable bunch, but I found all of their stories compelling. Actually we’re presented with three mysteries that may or may not be connected, one decades old and two recent. Overall I enjoyed the writing style, setting, and story (Nantucket Gothic? ), though I was disappointed that there were unanswered questions in the end. I felt like two of the three mysteries weren’t truly solved – or maybe they were? Anyway, the ending was confusing, but I still feel like THE FIFTH OF JULY was a worthwhile read. Here we have it, my favorite book of 2018! I think this one will be hard to top. Amazing!! A swamp and a marsh are very different environments. A marsh is a thriving and nurturing place, and it’s there, along the North Carolina coast, that Kya lived and survived after being abandoned by her family as a young girl. Kya spent her days alone, observing the surrounding natural world, and it served her well. 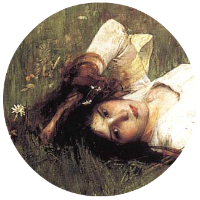 Though she loved her marsh dearly, sometimes the loneliness was too much, especially as she grew into a young women. But after being abandoned by everyone she loved and shunned by the locals, who could she trust with her heart? I don’t want to ramble on too much about the plot. This stirring, character-driven novel is part coming of age story, part mystery, and part love story — between Kya and two young men who she allows in her hidden world, but most of all, between Kya and her treasured marsh. WHERE THE CRAWDADS SING is a gorgeously written and haunting novel with an unforgettable heroine, the Marsh Girl. What a bittersweet ending!! Tears, tears, tears. Just lovely. I don’t read a lot of YA books, but every once in a while one comes along that catches my eye – especially one that sounds like a combination of Heathers and The Craft. I wasn’t wowed by the book, though it was a quirky read, with some fun parts and sad moments too. With such an interesting premise – a novice witch raising a gang of zombie girls from the dead to solve their murders – I was hoping for a little more. I’m bummed that the mystery got lost in a lot of the stereotypical high school drama and caricatures (which slowed down the plot for me). Good book, not great. Thank you to Penguin’s First to Read Program for providing me a review copy. CLOSE TO HOME was part contemporary domestic thriller and part police procedural, though probably too heavy on the investigation side for my liking. DI Adam Fawley is the main investigator, though it flipped back and forth between him and other detectives. I felt like it didn’t matter which detective did what, as they needed more personality or back story to grab my attention. The mystery of the missing girl was intriguing and had plenty of twists. The big reveal at the end was great but kind of out there. This book has gotten lots of great reviews, though for some reason I had a hard time really getting into it. Not bad, but didn’t wow. Thank you to Penguin’s First to Read Program for a review copy. This was my first read of 2018! What secrets are hidden at Blackwater Lake? I was very impressed with this novella. Though short in length, the book’s characters and plot were well developed. Great mystery/suspense, and a freebie from B&N too. Would love to read more from Maggie James. Well, you can’t love them all. Almost DNF’d this book at 33%, but decided to skim the rest just to see where it went. The premise was certainly intriguing, but the slow pace, implausible situations, and wooden characters turned me off. I’d maybe give this book 1.5 stars? I thought her first book, The Couple Next Door, was entertaining, suspenseful, and fun, but unfortunately A Stranger in the House didn’t work for me. Beautifully written, dreamy almost, and heartbreaking subject matter. Nevertheless, I’m in the minority as I didn’t love this book. It lacked a strong plot and felt disjointed, and I also felt like I was observing these characters from a distance instead of being a part of their stories. In the end it seems like I missed something in Tin Man that everyone else easily found. Thank you to the publisher for providing me a copy in exchange for an honest review. I loved this book. It turned out to be so much more than I was expecting. THE SEVEN HUSBANDS OF EVELYN HUGO tells the amazing, wild, and often heartbreaking life story of the title character. Beginning in the 1950s when she arrived in Hollywood, the book covers Evelyn Hugo’s rise to fame as an A-list actress, and her many loves and losses along the way. She chooses a young journalist named Monique Grant to write her biography, and Monique is perplexed as to why Evelyn wants to spill her long-guarded secrets to her. What, if any, is their connection? I listened to the audiobook which was a wonderful experience and quite emotional too. I’m sure the neighbors wondered why I was sobbing as I was mowing the lawn. Definitely one of my favorite books of 2017. Second book by Harlan Coben I’ve read, and second book by Harlan Coben I’ve really enjoyed! In DON’T LET GO, Detective Nap Dumas finally gets a lead in the disappearance case of his high school girlfriend — well, it’s his own case as no one else is looking. Maura went missing 15 years ago on the same night his twin brother Leo and Leo’s girlfriend Diana were killed, supposedly hit by a train. Nap’s always wondered if there was more to the story, and of course, if Maura’s disappearance was somehow related. Now a clue from a crime scene in another town sets his investigation in motion again. DON’T LET GO is page-turning suspense with a complex mystery and relatable characters. I especially loved Nap’s sarcastic wit. Thank you to the publisher and NetGalley for providing me a copy of this book in exchange for an honest review. THE NIGHT MARK is a unique time-travel romance set on the gorgeous coast of South Carolina. In present day, Faye Barlow feels lost, still grieving the death of her husband four years prior. During her latest photography job, she discovers an abandoned lighthouse at a place called Bride Island. She feels an inexplicable connection to the lighthouse, and in a strange twist of fate, she’s sent back to 1921 where the keeper is very much alive and very familiar. I thought the writing was beautiful, and the descriptions of the lighthouse and island were magical. While I loved the premise, ultimately I had a hard time connecting with Faye and feeling the chemistry in her new time-travel relationship. Their set up was a bit too odd for me. The character who stood out to me most was the priest — honestly I’d love to read his life story.